The team of experts at Florida Back Institute is dedicated to providing exceptional treatment of spinal conditions to patients in the community of Boca Raton, Florida. Their commitment to advanced diagnostics and cutting-edge therapeutic interventions also brings people from around the country to seek world-class spinal care at the state-of-the-art medical facility. Jeffrey C. Fernyhough, MD, a nationally recognized researcher, educator, and master of epidural injection therapy, and Nathaniel A. Lowen, MD, an expert in minimally invasive surgery, lead a team of highly qualified professionals. The practice provides services which include epidural injections, physical therapy, facet blocks, spinal stenosis, minimally invasive surgery, and more. A pioneering physician, Dr. Fernyhough has the authority to offer ground-breaking therapies, such as the newest technology available for spinal cord stimulation, which provides extraordinary relief for back pain and sciatica. Dr. Lowen’s superior training and extensive experience with minimally invasive surgical procedures offer reduced recovery time and effective, immediate results. Dr. Fernyhough and Dr. Lowen have served the Boca Raton community for many years, and they treat their patients like family. The warm, friendly staff at Florida Back Institute strives to get to know their patients and spends time listening to concerns, answering questions, and educating about conditions and treatment options. Patients who seek the highest quality spinal care available are welcome at Florida Back Institute, no matter where they live. To learn more about the team of providers, the services offered, and up-to-date research into spinal conditions, patients are invited to schedule a consultation. Call the office or click the button to make an appointment online. 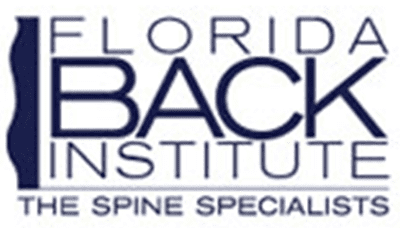 Why Choose Florida Back Institute? "Dr. Lowen went out of his way to help me get relief before my trip to China. Thank you Dr. Lowen for making it possible for me to climb on the Great Wall!" "Staff was fun and courteous, great attitude even on Monday. Dr. Fernyhough was thorough and took interest in my situation, awesome first impression." "Dr. Ferneyhough always encouraged me to try other solutions before surgery. I finally chose fusion surgery. A resounding success. He is my hero." "Dr. Fernyhough is a great guy and a great doctor. I have already had 2 injections for neck and back pain, and feel so much relief already. Highly recommended." "After office recommendation, I lost 45 lbs and have maintained weight loss as per Dr. Fernhough's initial consult. Thanks again Dr Fernhough and your staff!" "Amazing spine surgeon. Great hands and diagnostics skills. Highly recommend." Only one reason to be here, [...] you want the best medical support in all of Florida. if you want the best supportive care, this is the only place that has my back!" "I went to many physicians and chiropractors before seeing Dr Lowen and he changed my life. The staff could not be more caring or pleasant. Their office is amazing."